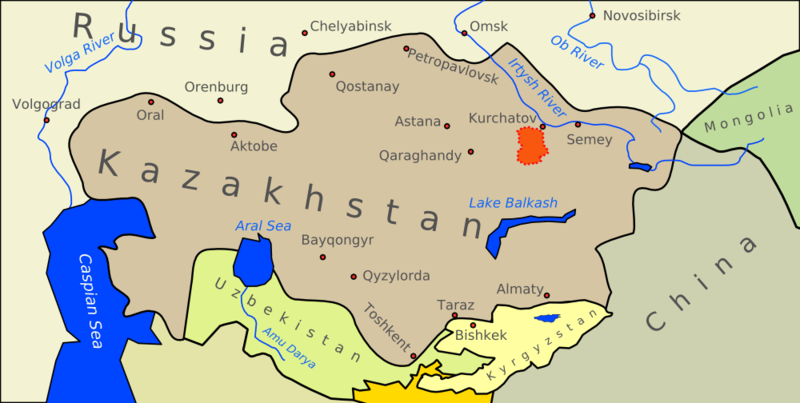 Semipalatinsk Test Site overview map, showing its position in Central Asia. Original (structured) drawing Image:Wfm sts overview.svg drawn by en:User:Finlay_McWalter using Inkscape, 3rd September 2004. Seismic monitoring report of the STS (pdf) shows the STS in relation to the rest of Kazakhstan.